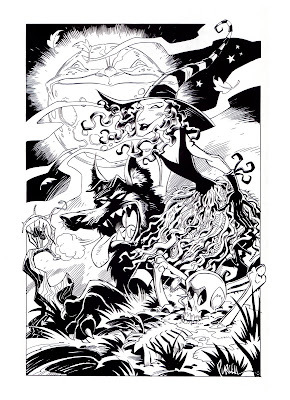 Here's a pin-up I did long ago for one of Jill Thompson's charming and popular Scary Godmother comics. Jill is great at populating her own rich worlds with amazingly colorful, funny characters and I had a lot of fun with this piece. And if she wants to send the pin-up back to me I'll add in Scary Godmother's little wings which I somehow managed to overlook and which Jill was way too polite to mention. I just needed something to post and found this image buried in my hard drive. I feel like I've posted it before. Maybe it's in one of the sketchbooks. 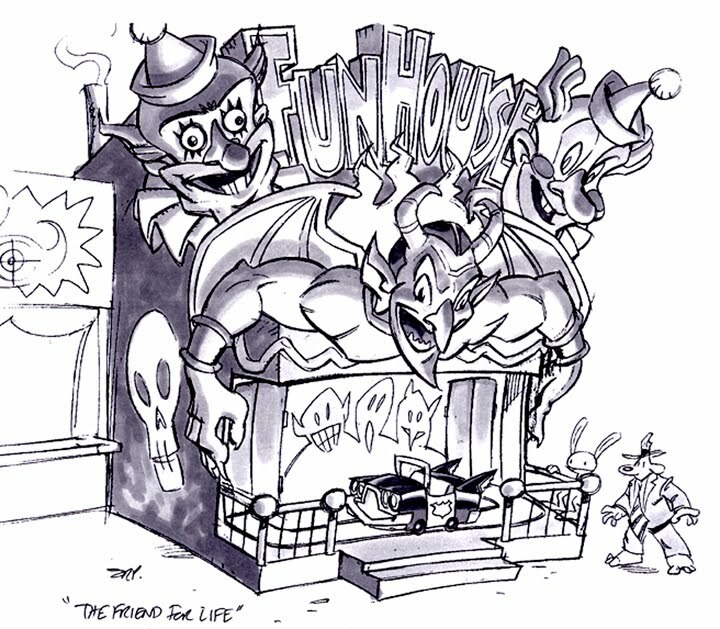 It was done for the animated series - I would pitch in on characters and locations whenever possible. Usually quick pencil sketches with some ball point pen and a bit of tone. 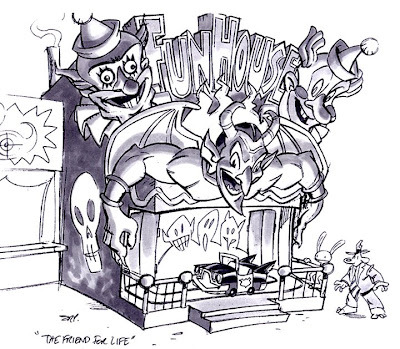 Posting this will force me to get on the ball about launching the Sam & Max blog. Let's call the launch date October 31st just to plant a stake in the ground.